As you gaze upon these words, dear reader, a horde of alien marauders are ransacking all corners of the globe, chewing through the latest pharmaceutical defenses and leaving behind a gruesome trail of dead and weakened victims. 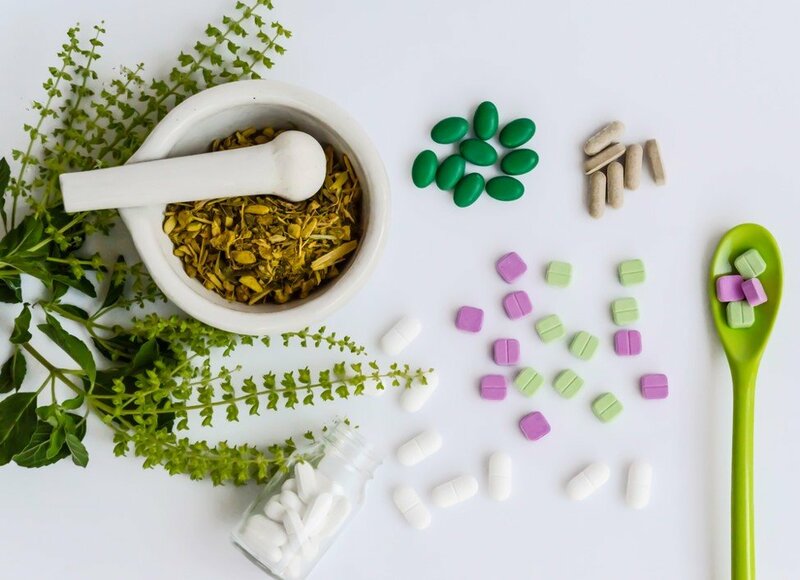 According to a recent report by the World Health Organization (WHO), ferocious tribes of bacteria, parasites, viruses and fungi are on the rampage, and some are proving virtually invincible to the so-called “last resort” antibiotics. WHO has identified the proliferation of antibiotic-resistant “superbugs” as one of the major looming heath crises of the 21st century. These crafty, elusive shape-shifters are not only capable of surviving an onslaught of antibiotics, but they continually reinvent themselves by genetic mutation, horizontal gene transfer and natural selection, developing new tactics against even the most powerful drugs and spawning malignant offspring that wreak havoc with devastating vitality. They even share their genetic material with other pernicious bugs. The major offenders in this perilous conflict are not just the superbugs themselves but the rampant overuse of antibiotics. It’s estimated that 30% of all prescribed antibiotics are unnecessary, a testament to our culture’s desire for quick-fix solutions to our health woes. (This doesn’t take into account the fact that the bulk of all antibiotics used in the United States are given to livestock, a whole other ball of worms.) The practice of scribbling a script for every little sniffle has helped create a vicious circle of weakened immune systems, ravaged gut microbiomes, and the escalating spread of dangerous diseases by people, animals, and agricultural crops. When the U.S. Center for Disease Control (CDC) throws words around like “nightmare” and “sound the alarm,” it’s time to take notice. “Without urgent action,” the CDC warns, “many modern medicines could become obsolete, turning even common infections into deadly threats.” The CDC’s recent antibiotic resistance initiative includes a key goal: to cut inappropriate prescribing practices by 50% in doctors’ office and 20% in hospitals. And while this protocol has helped to rein in some infectious foes, others are on a frightening upswing. One of the most treacherous malefactors on the prowl is Methicillin-resistant Staphylococcus Aureus, or MRSA. This highly contagious bacterial infection is commonly associated with people who have compromised immune systems, like hospital patients and the elderly. Over the past decade, an even more menacing strain of community-associated MRSA (CA-MRSA) has muscled its way into healthier populations, popping up like a malevolent jack-in-the-box in places and situations where people are packed tight– contact sports teams; gyms and locker rooms; schools and daycare facilities; prisons, homeless shelters, and military barracks. CA-MRSA is even turning up in spas, resorts, cruise ships, and nail salons. It’s estimated that 30% of all prescribed antibiotics are unnecessary, a testament to our culture’s desire for quick-fix solutions to our health woes. According to researchers, CA-MRSA is a cunning bacterial strain with a bunch of biological tricks up its sleeve. It has the unique ability to hide and disguise itself against neutrophils. Neutrophils are commonly known as white blood cells, specifically the ones tasked with fighting off these Machiavellian villains. Even more sinister, CA-MRSA secretes a nasty little peptide that wreaks havoc in two ways: it helps build a biofilm, a slimy structure that enables the bug to stick to its host and spread rapidly, and even creepier, it commits a heinous bio-crime called lysis, infiltrating neutrophils and actually causing them to explode, thereby shattering the body’s immune defense mechanism. Left untreated, CA-MRSA can lead to sepsis, endocarditis, pneumonia and necrotizing fasciitis (necrosis comes from the Greek nekrosis, “to make dead”). All of these complications are potentially fatal, and the beta-lactam antibiotics typically prescribed for staph (single-molecule drugs such as penicillin, cephalosporins, monobactams, and carbapenems) are proving to be no longer effective. Even Vancomycin, an “antibiotic of last resort,” is losing the fight against CA-MRSA. To complicate matters even more, the use of antibiotics – and the resulting disruption of the body’s healthy gut bacteria – is increasingly shown to contribute to future health problems. The first time I heard of MRSA was in the late 1990’s. A dear childhood friend contracted the infection, and it had become dangerously systemic. After doctors tried every available treatment – including a powerful course of IV antibiotics that turned my friend beet-red, covered him in hives, ravaged his kidneys, and made him so dizzy and nauseous he couldn’t keep food down -he died from associated complications. What does it mean to protect ourselves in a world crawling with MRSA and other superbugs? Beyond the obvious like washing our hands, we need effective options to fight infections that don’t rely solely on antibiotics. Scientists are researching new treatments that target bacterial bad guys in novel ways, but this is a laborious and time-consuming process. In the meantime, there are other weapons we can wield to protect ourselves from these insidious infiltrators – as I learned the hard way when I myself was infected by MRSA a few years ago. I’d spent a pleasurable California weekend in the nearby resort town of Calistoga, soaking in healthful, mineral-rich waters. I returned home fully rejuvenated and free of stress. Or so I thought. Two days later, my body was bitmapped in boils and I was losing my mind. A platoon of angry red pustules had taken up residence across my back. For a mild skin condition, I would typically reach for a plant-based treatment, but this bacterial ambush was so sudden and aggressive – and so disgusting – I wasn’t going to mess around. I went straight to my GP, who diagnosed a staph infection and prescribed an antibacterial skin cleanser and a topical antibiotic ointment. At first, I was somewhat relieved that this treatment wouldn’t involve carpet-bombing my friendly neighborhood of gut bacteria, given the importance of an up-to-snuff microbiome in so many aspects of our health. But after a week of washing my occupied territory as directed and applying the ointment twice daily, my betes noires show no sign of retreating. Like Napolean’s army, they were conquering new territory and morphing into something even more repugnant. I felt contaminated, radioactive. I avoided people and slunk around like Quasimodo, lurking in the shadows. And I worried. Covered by crusty carbuncles, I was becoming a modern-day version of Baba Yaga, the boil-ridden witch of Russian folklore who lived deep in the forest in a hut that stood on a pair of chicken legs. Alas, I had her pus-filled boils, but none of her magic powers. Alarmed at my lack of improvement, my doctor prescribed a course of oral antibiotics. I knew about the association of the microbiome with mental health, and now pictured myself rotting away in an asylum, my mind gone to mush after all of my gut bacteria had been wiped out. There had to be a better way. Increasingly desperate, I started looking into whatever research was available about cannabis and antibiotic-resistant bacteria. Unfortunately, due to marijuana prohibition, there’s not much out there on this subject. (Thanks again, Feds, for the lack of science.) I found a few relevant articles in peer-reviewed journals, which underscored the complex and nuanced effect cannabis has on immune function. In a recent review in NeuroImmunoModulation, a team of Mexican scientists reported that cannabinoids demonstrated a statistically significant antibiotic effect on some infectious diseases, and actually impaired the body’s immune system for others. The good news is that several plant cannabinoids have been shown to wreak havoc against Staphylococcus aureus – the very bug I was fighting. A 2008 study in the Journal of Natural Products, published by the American Chemical Society, found that cannabidiol (CBD) and cannabigerol (CBG), two nonintoxicating cannabinoids, “showed potent activity against a variety of MRSA strains.” Three other plant cannabinoids – tetrahydrocannabinol (THC), cannabinol (CBN) and cannabichromene (CBC) – also showed encouraging results in preclinical research. How the cannabinoids work is not fully understood, but it appears to be due to natural antimicrobial defense mechanisms. Cannabidiol (CBD) and cannabigerol (CBG) show potent activity agains a variety of MRSA strains. I also heard about the potent antibiotic properties of manuka honey, and I thought about combining it with a CBD-rich cannabis extract. While honey has been known since ancient times for its antibiotic and wound-healing properties, manuka is something special. 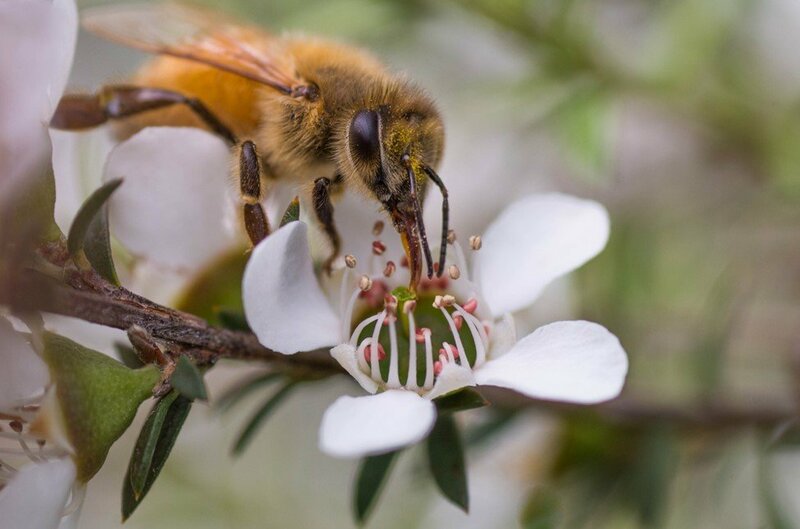 Made by bees from the nectar of Leptospermum scoparium (more commonly known as tea tree, a plant indigenous to New Zealand and Australia), manuka honey has unique bacteria-busting abilities that scientists have only recently begun to investigate. A 2016 article published in Frontiers in Microbiology discusses how manuka honey disrupts invading bacteria’s ability to produce biofilms. In another study, manuka was shown to prevent bacterial subdivision, and it appears to evade bacterial resistance. Not only is manuka honey effective on its own, but it also works synergistically with other antibiotics, increasing their effectiveness. So, I took matters into my own hands and made my own bacteria-killing juice. I decarboxylated the dried flowers of a CBD-rich cannabis strain called Blue Jay Way, which was lab-tested to show a 2-to-1 ratio of CBD-to-THC (14% CBD and 7% THC). I infused some olive oil using the old hippie Crockpot method. After straining out the plant material, I added some beeswax for its thickening properties. And when the infusion was mostly cool, I mixed in a generous amount of New Zealand manuka honey with 20+ bioactivity. I applied this salve to my skin infection twice per day. It was a little sticky, but that was the worst of it. Within 24 hours, it started working! Like the water-splashed Wicked Witch of the West in the Wizard of Oz, the lesions began shrinking and drying up. Over the next few days, I gleefully watched as the skin on my back became a killing field where all those little, white-blood-cell-exploding staph-holes were obliterated forever. Within a week, the infection had resolved completely, leaving my gut flora intact. Unlike my experience with pharmaceutical antibiotics, whole-plant CBD-rich cannabis combined with manuka honey did not cause any adverse side effects. Nor did it trigger a backlash of antibacterial resistance, which is threatening the very foundations of Western medicine. We’ve become increasingly dependent upon medical conveniences, quick fixes and silver bullets, while often ignoring their broader consequences. In our impatience to get on with the business of life, we don’t always pay attention to the subtler conversations our bodies carry on, day and night, in our microbiomes and beyond. Maybe it’s time to listen. Melinda Misuraca is a Project CBD contributing writer with a past life as an old-school cannabis farmer specializing in CBD-rich cultivars. Her articles have appeared in High Times, Alternet, and several other publications. Almasaudi SB, Al-Nahari AAM, Abd El-Ghany ESM, Barbour E, Al Muhayawi SM, Al-Jaouni S, Azhar E, Qari M, Qari YA, Harakeh S. Antimicrobial effect of different types of honey on Staphylococcus aureus. Saudi J Biol Sci. 2017 Sep;24(6):1255-1261. doi: 10.1016/j.sjbs.2016.08.007. Epub 2016 Aug 30. PubMed PMID: 28855819; PubMed Central PMCID: PMC5562472. Alvarez-Suarez JM, Gasparrini M, Forbes-Hernandez TY, Mazzoni L, Giampieri F. The Composition and Biological Activity of Honey: A Focus on Manuka Honey. Foods. 2014 Jul 21;3(3):420-432. doi: 10.3390/foods3030420. Review. PubMed PMID: 28234328; PubMed Central PMCID: PMC5302252. Appendino G, Gibbons S, Giana A, Pagani A, Grassi G, Stavri M, Smith E, Rahman MM. Antibacterial cannabinoids from Cannabis sativa: a structure-activity study. J Nat Prod. 2008 Aug;71(8):1427-30. doi: 10.1021/np8002673. Epub 2008 Aug 6. PubMed PMID: 18681481. Feldman M, Smoum R, Mechoulam R, Steinberg D. Antimicrobial potential of endocannabinoid and endocannabinoid-like compounds against methicillin-resistant Staphylococcus aureus. Sci Rep. 2018 Dec 6;8(1):17696. doi: 10.1038/s41598-018-35793-7. PubMed PMID: 30523307; PubMed Central PMCID: PMC6283871. Rigby KM, DeLeo FR. Neutrophils in innate host defense against Staphylococcus aureus infections. Semin Immunopathol. 2012 Mar;34(2):237-59. doi: 10.1007/s00281-011-0295-3. Epub 2011 Nov 12. Review. PubMed PMID: 22080185; PubMed Central PMCID: PMC3271231. Ventola CL. The antibiotic resistance crisis: part 1: causes and threats. P T. 2015 Apr;40(4):277-83. PubMed PMID: 25859123; PubMed Central PMCID: PMC4378521.